The first signs that Apple wanted to beef up its semiconductor design capabilities came with the news last April that it had acquired PA Semi, a company specializing in low-power microprocessor designs based on the PowerPC core used in a previous generation of Apple Macintosh computers. 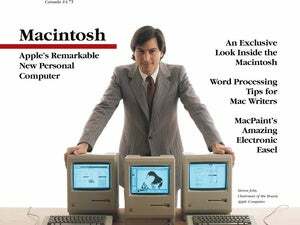 (Today's Macs are based on x86 processors supplied by Intel.) While PA Semi's designs were considered energy efficient, their power consumption was more suited to lightweight laptops than smartphones, which must run for days on a single charge. There are clearly new wireless products in Apple's future plans, although not all the wireless chip design work will be done in-house. The company is looking for a mobile silicon program manager with experience working with multiple vendors as well as internal teams. The post, like most of the others, is based near Apple's headquarters in Cupertino, Calif.
Apple is also seeking two senior wireless systems engineers in Shanghai to work on integrating wireless technologies into its products. While those two posts list Wi-Fi as the primary wireless technology, they also emphasize the importance of experience with Bluetooth, 3G, UWB (Ultrawide Band), WiMAX, GPS and Mobile TV systems, and of making multiple wireless systems coexist within a single product.